How Much are Closing Costs when Selling a House in Las Vegas? You are wondering exactly how much are closing costs when selling a house in Las Vegas. This list is strictly an estimate and should in no way be held as the true and actual cost. Costs vary based on companies used, the price of home, negotiations and so on. Also, depending on the offer, you may pay part of your buyer’s fees. In Las Vegas, as in most states; selling a house is not as simple as finding a buyer, receiving a payment and handing over the keys. To sell a house in today’s market; you must be an expert or have the help of one in both selling and marketing property. There are numerous cost associated with getting your home sold that you should be aware of. Consult with your agent, as costs will be specific to your transaction. How Much are Appraisal Fees? What does it Cost to Stage a House? In Las Vegas, the commission is 100% negotiable and will vary depending on experience, location, agency, etc. The agent fee includes marketing your home, giving tours of your home, setting up open houses, broadcasting to other agents, listing your property on popular sites such as Zillow and Trulia, and posting manual ads on sites such as Craigslist, Facebook, Blog Sites, Main Websites and more. Let’s say today that The average price of a home in Las Vegas is around $300,000 (which we will use throughout this example). If the commission to sell this home was 6%, you would pay $18,000 total. In Las Vegas, typically the seller pays the entire commission to both the listing agent and the buyer’s agent. Again, the commission is negotiable and you may have a variable commission that reduces the cost if the listing agent brings the buyer. That’s called a dual agency representation, and some brokerages will allow it, some will not. You don’t ever want to choose an agent based on commission. Not all brokers are created equal and the marketing plan brings more showings which bring more offers which generally means a higher selling price and more money in your pocket. How do I Sell a House in Las Vegas? The average appraisal fee is $450-$500 in Las Vegas depending on the size and condition of the home. The appraiser looks at every inch of your house and determines how much it is worth in the current market. It is important that your home gives a great first impression to potential buyers. It is very common today for property sellers to hire someone to help stage and prep their home by decluttering, cleaning, and making the home more presentable. The average cost for this service in Las Vegas is between $500 and $2,000 depending on the scope of the staging requirements. The act of actually selling your home happens in the closing phase, which contains closing costs that many consumers are unaware of when selling their home. Let’s cover what most people are looking for when they land on this article. How much is the Realtor’s commission? You have to know that there is NEVER a permitted “standard” for a commission. It is absolutely always negotiable. You could pay as low as 1% of the sales price for a discount broker or maybe 10% for a specialty agent. As the seller, you will generally be asked to pay a flat commission that is split between the buyer’s broker and the listing broker. Let’s just say you agree to a rate of 6%. From this 6%, you are giving the agent that brings you a buyer 3%, and the agent who handles the sale of your property and represents you 3%. You may agree that if the listing agent also brings you the buyer, you will pay the full 6% to that agent. Some sellers won’t’ allow the same agent to represent the buyer and the seller. This is up to you to negotiate. Keep in mind that the listing agent is never going to keep the full commission. They will have splits typically with the buyer agent and with their own brokerage. It is not uncommon that brokerage would keep 50% of the selling sides commission. Example: Home sells for $300,000. You agree to a 7% commission with 4% to the listing agent for their comprehensive marketing system and negotiations and 3% to the buyer broker who procures the buyer. Your total expense for the commissions would be $21,000 regardless of how it is split. Escrow Fee: A fee that pays for the services rendered by the escrow company. The fee may vary slightly by company, but for our example, it is $275. Tax Service: This is a one-time-only fee for setting up tax payments, charged by the lender, in this case it is $100. Title Insurance Fee: This around $500-$600 fee is associated with the seller ensuring that he/she is giving the buyer a clear title to the property. 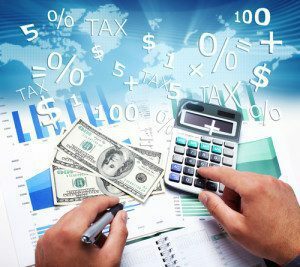 Nevada Transfer Tax: This is a state-specific rate, in Nevada it is $5.10 per $1,000 of the loan, in this case, $438.50 to be paid by the seller to the state of Nevada. Re-conveyance Fee: Fee to clear the title of the lien and reestablish the deed of trust to the seller, this fee of $156 is paid by the seller. Home Warranty Plan: This may be an optional fee for a one year warranty that the seller pays. Basic plans in Nevada are $400 on average. Form 1099: The 1099 form is required by the IRS to report the sale of a property and costs $50. Pest inspection: If a pest inspection is required or requested, the property will be inspected for pests that can cause structural damage to a home, this may already be included in the home inspection costs. If not, the fee is typically between $50 and $225. Courier Fees: A lot of paperwork changes hands during the closing process, you may be required to pay a courier fee to use a service to get the required documents to and from the respective parties (lender, title company, escrow firm, and county) this can cost between $50 and $250. There may be other fees that are paid by the seller if the seller agrees to them during the negotiations with the buyer. Sellers can agree to pay any or all closing costs when selling a home, depending on the mutual understanding between the two parties. 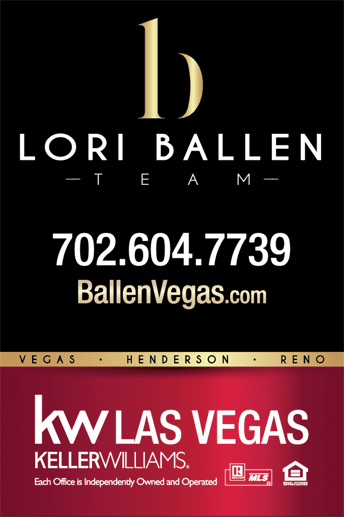 With the help of a Las Vegas Real Estate expert such as Lori Ballen and her team, you are more likely to sell your house quickly and maximize your value. You need someone who knows how to sell a Las Vegas house and is familiar with the rules and regulations in the area. As you can see, it can be quite costly to sell a house in Las Vegas. Ensuring that you have the best chance to sell your home means spending a little extra. Give us a call at 702.482.7739 to discuss selling your property. We have expert agents that work across Southern and Northern Nevada. Our comprehensive marketing system is designed to get you the most amount of money in the least amount of time with the least amount of inconvenience. 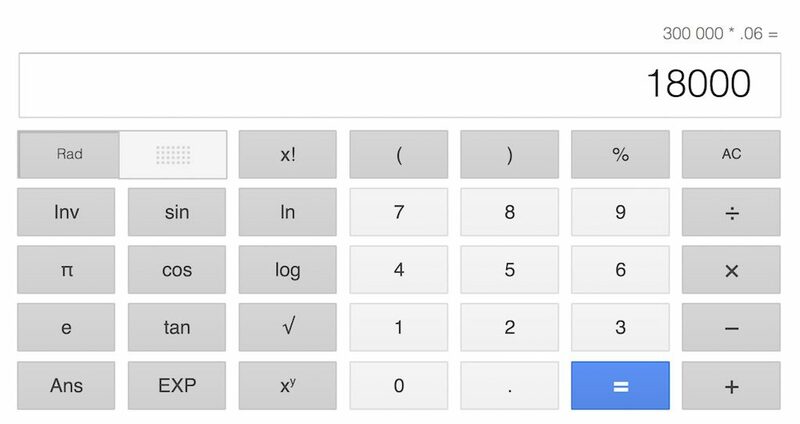 Use the 15 second home estimate calculator to get an idea for what your property may sell for today. You are wondering exactly how much it's going to cost when selling a house in Las Vegas. This list is strictly an estimate and should in no way be held as the true and actual cost. Costs vary based on companies used. Also, depending on the offer, you may pay part of your buyers fees.